Forever remember this event as the citizens of the USA’s failure to protect mother nature. 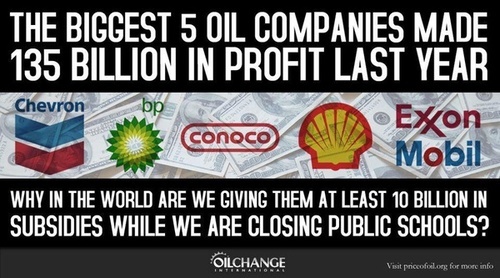 Time after time, policy after policy, the citizens of the USA have allowed government to be bought by large corporations who have no respect for the safety of the resources around us. 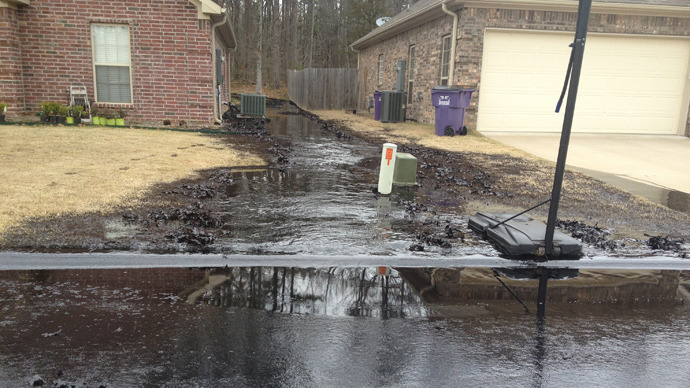 Oil fills backyards after a tar sands oil pipeline burst in Mayflower, Arkansas, on March 29. 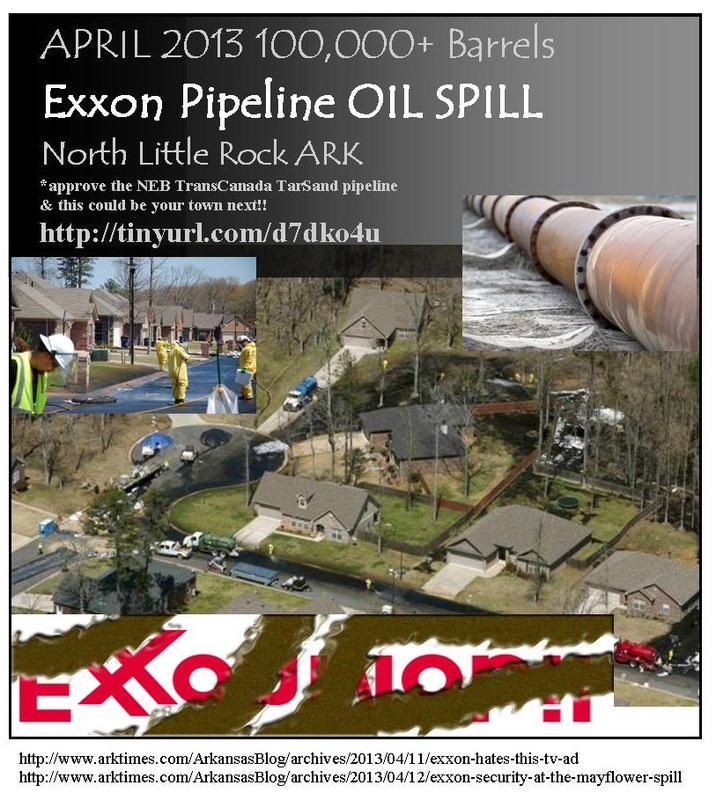 The ruptured tar sands oil pipeline that spilled at least 12,000 barrels of Canadian tar sands oil in Mayflower, Arkansas, on March 29, is calling attention to the environmental dangers posed by the Keystone XL pipeline project which would carry the same heavy, crude oil from Alberta, Canada, to Texas. 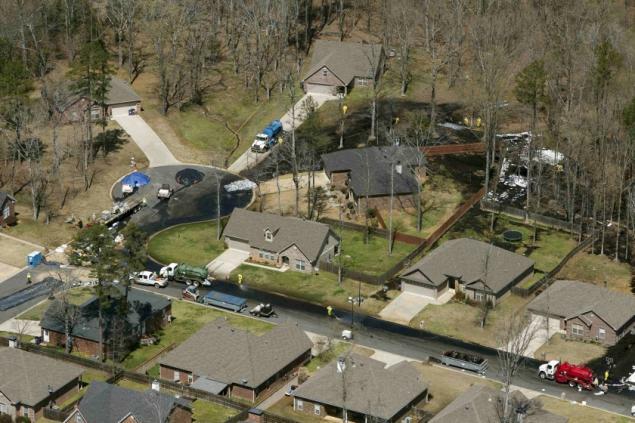 ExxonMobil’s Pegasus pipeline, which runs from Illinois to Texas, has been buried under central Arkansas for 65 years, but increased its capacity by 50% in 2009, allowing it to carry up to 90,000 barrels per day. 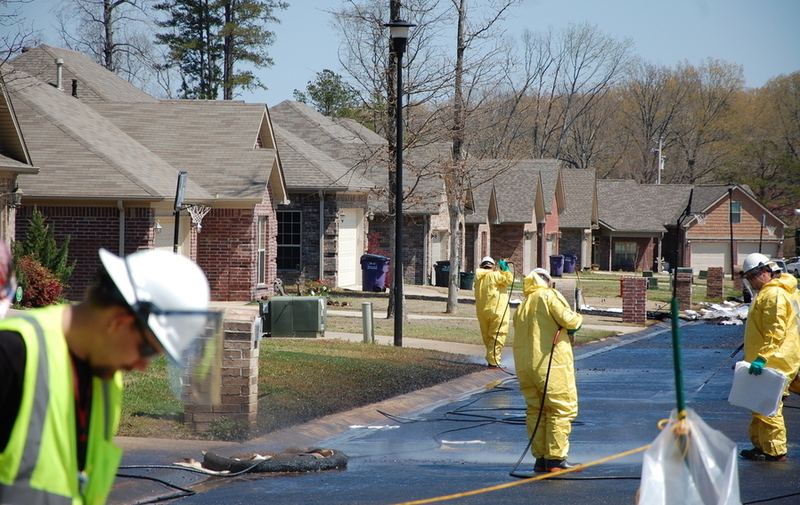 The ruptured Pegasus pipe sent oil into a subdivision, soaking backyards and forcing 22 homes to be evacuated for a week. A neighborhood creek and drain were filled with the oil and the U.S. Environmental Protection Agency reports that it found 14 oiled ducks and five dead ducks and various other oiled wildlife, including turtles and snakes. 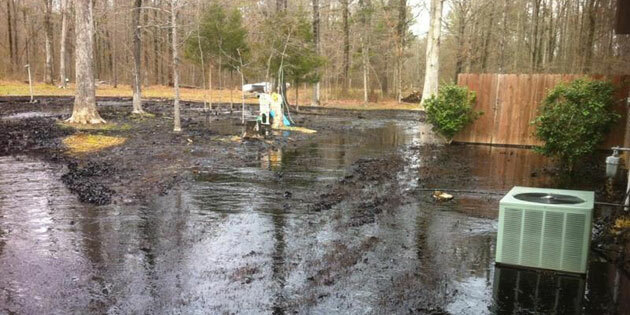 Oil from the spill also reached Lake Conway, the largest man-made game and fish lake in the U.S. 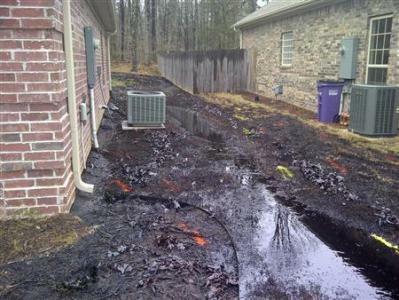 Earlier that same week, a train carrying Canadian tar sands oil derailed and spilled 15,000 gallons of oil in Minnesota. 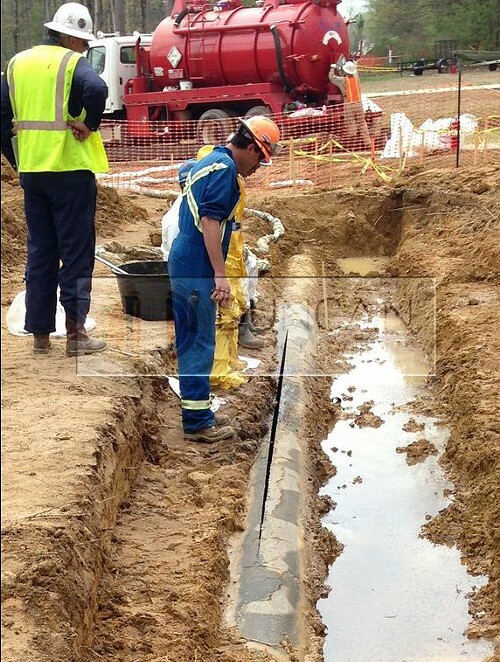 The spills call attention to the problems of Canadian tar sands oil, which may be more corrosive to pipes than conventional crude oil because it needs to be at a higher temperature to flow. In addition, moving tar sands oil through pipelines requires increased pressure, which also contributes to a greater likelihood of ruptures. The Natural Resources Defense Council found that pipes carrying tar sands oil spilled 3.6 times as much crude per mile as those carrying conventional crude from 2010 to 2012. The agency also notes that when tar sands oil spills, it does more damage and is harder to clean up—particularly in water bodies. 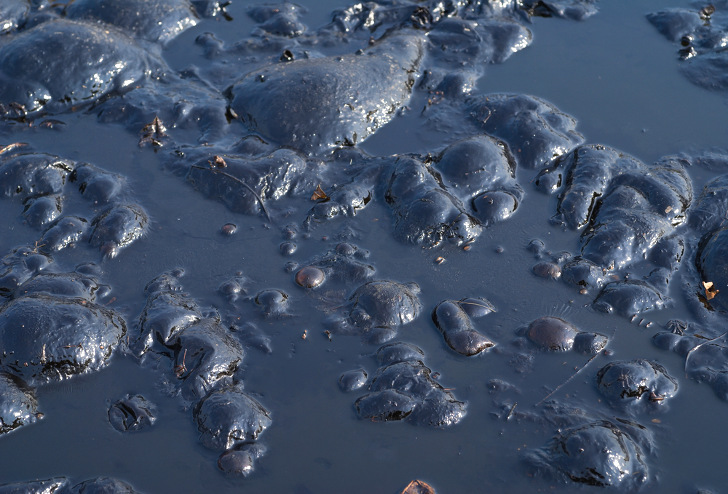 Conventional crude, when spilled, floats on the water surface. Bitumen—as tar sands oil is known—separates from the chemical dilutant that allows it to flow through pipes and sinks to the bottom. These recent spills have shined a spotlight on the Keystone XL pipeline project which would carry 800,000 barrels per day of bitumen from Alberta to the Gulf Coast. Even after the prominent spills, and prominent protests by environmental organizations and their supporters, media reports indicate that president Obama is likely to approve the pipeline proposal. The pipeline review process is not expected to be completed until the summer, and environmental activists are increasing their calls for blocking the pipeline, particularly in light of last month’s spills. Also featured is Mike Hathorn, a welder and Texas landowner who opposes Keystone for the obvious dangers it poses. He’s comfortable with conventional pipelines running under his land but says Keystone XL is “a dangersous pipeline.” He continues: “I was a welder and a mechanic all my life.” Hathorn says the pipeline is likely to be made of substandard materials from India and combined with high pressure and high temperature, it’s like sandblasting metal. “It’s gonna eat it [the pipeline] up, and it’s gonna eat it up pretty fast,” he says. Drop everything and come to the State Dept. KXL hearing in Grand Island, NE, on April 18. (Google ‘Bold Nebraska’ for details.) This is the ONLY hearing the State Dept. is holding this time around; last time there were hearings in SIX states. The premier of Alberta, Canada, where the pipeline begins, is in the U.S. right now lobbying FOR KXL. Much of what she says is simply not true. This is the most important issue confronting our nation for a secure, clean future. If permitted, KXL will negatively affect our country, your future, your children’s and grandchildren’s future. If you can’t come to Nebraska next week, at least write to the State Dept. before April 22, calling for a stop to this disastrous pipeline once and for all. What to ask a GMO supporter?